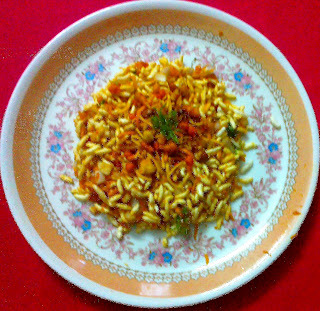 1.Fry the puffed rice on kadhai on very low flame (dry without oil). My mum does this exercise before preparing Churmurey Upkari. 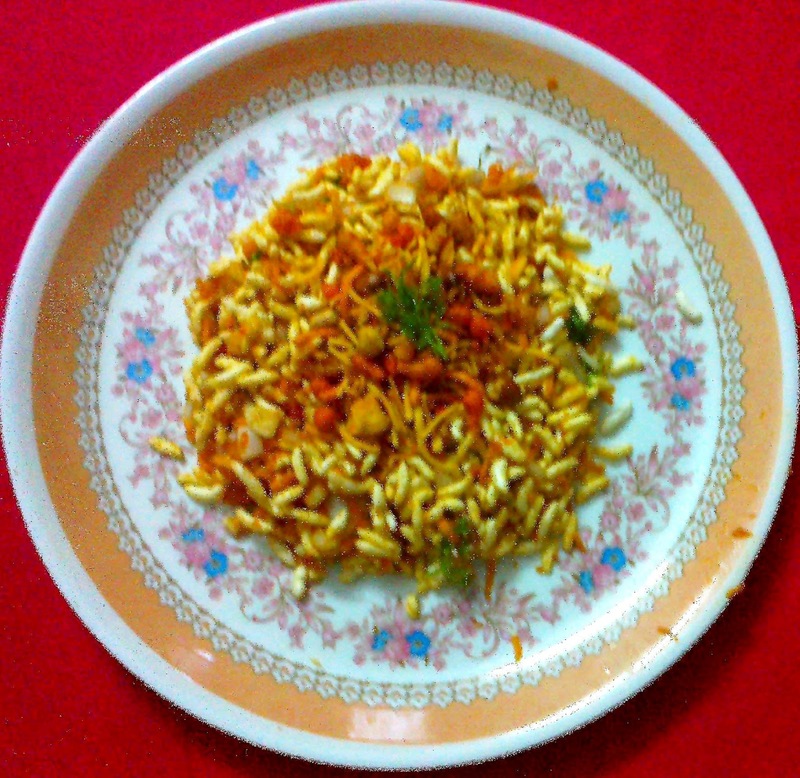 This also ensures that puffed rice arecrispy and fresh and thereby enhance the flavor of the dish. 2. Add the coconut oil, Churmuri and Red Chillie powder. Nayak’s Churmuri powder is easily available in all Mangalore stores in Bangalore and Mangalore. Mix in rigorously to avoid lumps. If one cannot find this powder, plain red chillie powder also serves the purpose. 3.Finally add in salt and chopped onions. This process ensures that onions absorb the oil. Add cilantro leaves while serving the dish.